Once in a while a movie comes along and shows that Hollywood can do more than just cheesy rom-coms or big blockbusters with a tiny little brain. In the case of Alexander Payne, it seems we had to wait 7 years, which is the time he took him to make another new film after his previous Sideways. The Descendants not only shows us the same intelligence, nuance and bittersweetness from his previous work but actually manages to take it a step beyond. It might not be the most original story ever seen on screen, but it’s treated with such maturity and honesty and in such simple and unfussy way that it’s hard not to fall in love with it. I certainly did. I saw it a few weeks ago and unlike many other films seen recently, it sticked in my mind. Clooney dresses down like rarely before (literally: he’s never been wearing worse clothes!) to play the part of the the everyday man Matt King. In this film he looks as scruffy as ever, with a bad haircut and unshaven look. And as he abandons his trademark smirks and smiles he manages to give one of his best performance to date: best because he’s actually so normal, so understated and yet so powerful. It is actually the hardest role to pull off. He’s funny at times and yet incredibly moving at others. I won’t give away the ending of the film, but his final speech, all shot in a tight close-up was absolutely heart breaking and its sincerity and realism had me in tears like a baby. It is an incredibly powerful film: a story about grief, betrayal and the breaking of a marriage, which manages to be funny at the same time. And it’s this careful balance between the sad and the lighter moments and its low-key approach that makes “the Descendants” so successful. The pacing of the film is rather slow (that’s not a criticism, nor the film is boring) and somehow that allows us to get to closer and closer to the characters, understand them, learn about their imperfections and flaws and somehow fall in love with them, because despite the extraordinary situations, they really feel human. So that by the time we get to the final emotional scenes with Clooney, it all really pays off beautifully. I suppose this is probably one of those movies that will appeal to a much older audience or, dare-I-say, a more mature one, but if you’re willing to go with it, not only you’ll find the best Clooney ever, but also one of the best films of the year. Fine review, MG. I really enjoyed this film when I took it in a couple of weeks ago. I admire that Alexander Payne took his time developing it and that he unhurriedly unfolded the story on-screen (a quality too many filmmakers and studios all too often ignore in today’s films). This is one of my favorites of the year. Thanks. 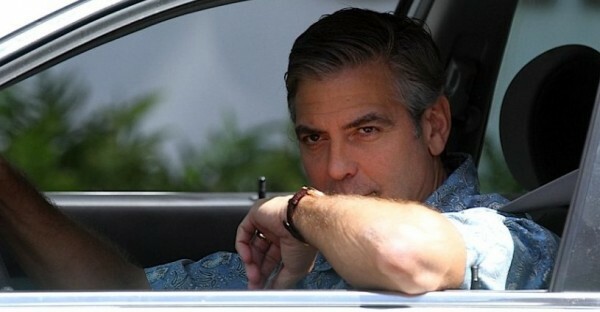 One of my favourite of the year too, and certainly the best Clooney I’ve ever seen. Clooney and everybody else included is great but it’s really Payne who shines as the writer bringing out some funny humor but not without forgetting about the real rich moments of human drama. Good review. A good film but not as great as I was expecting. Nice review! I really thought that this was a great film. George Clooney, Shailene Woodley and Amara Miller were simply a pure delight to watch as they provided an interesting critique of the modern American family. The Hawaiian setting was great as well. Check out mine if you get the chance.